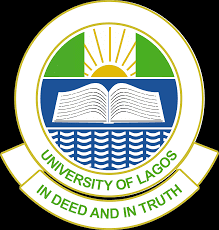 University of Lagos, UNILAG Distance Learning Institute, DLI Residential Programme Course Registration, School Fees, Hostel Allocation Process & Examination Requirements for 2017/2018 Academic Session. All DLI Students are expected to complete their course registration for the 2017/2018 session on or before Sunday, 30th September, 2018. Upon completion of the course registration, the ‘Hostel Application Button’ is enabled for allocation of hostel bed-space and printing of accommodation slip. At the day of resumption, students are expected to report at the hostel with the print-out of the accommodation slip between Wednesday, 10th October and Thursday, 11th October, 2018 for year 4-6, and Sunday, 28th and Monday, 29th October, 2018 for year 1 – 3. Students are to complete payment of fees on or before Friday, 21st September, 2018. Registration for courses for Year 4 – 6 students ends on 30th September, 2018 and for Year 1 – 3 students ends on 21st October, 2018. There shall be no further extension. Printing of Examination dockets would be enabled from Saturday, 6th October, 2018. Note that ONLY students of the Institute who are fully registered will be allowed to write examination. Unregistered students who sit for the examination will have their results nullified.